The redirection will occur in 5 seconds. The Boat Race, between the University crews of Oxford and Cambridge was first raced in 1829 at Henley. It is one of the oldest sporting events in the world. The PLA is ‘backstage’ for each Boat Race, in fact the race literally can’t start without us. We are most visible at the start as PLA marine services members hold the sterns of the Oxford and Cambridge racing eights steady for the starting gun. They often have their hands in the freezing water for up to 20 minutes before the start gun is fired. On the Friday before Sunday’s race day, positioning and manning the ‘start-boats’ and assisting with practice starts. Work on these lead-up days can last 15 hours, starting at dawn. A driftwood (small salvage) vessel stands-by at Chiswick in case of any emergencies, with a diver on-board, ready to assist - usually freeing a fouled propeller. While the Boat Race is on, container ships and tankers will likely be arriving and departing on the Thames further downstream. The PLA is often at the heart of national events on the River Thames. We close the river to navigation for the annual New Year’s Eve fireworks and, in 2012, oversaw the safe running of the largest ever pageant on the river. 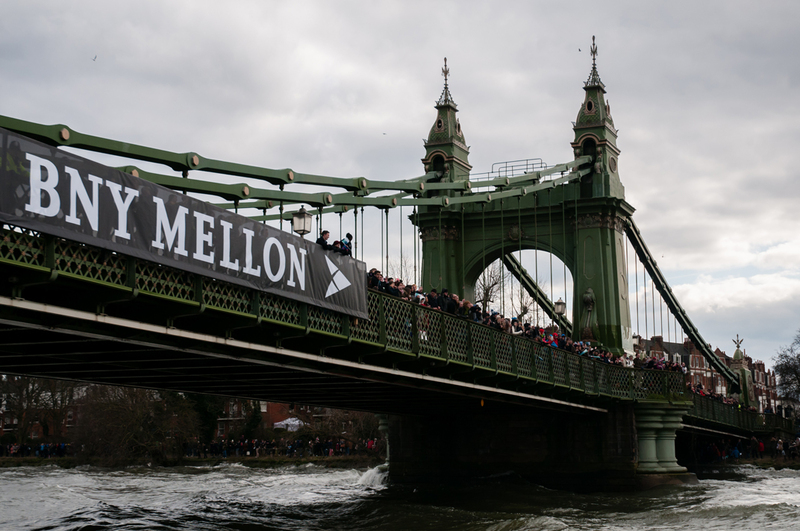 For more information please visit the Boat Race website. View the PLA YouTube short film Behind the Scenes at the Boat Race with the PLA . There is also a photo slideshow of the PLA's work in the run up to the 2013 Boat Race that can be viewed here.